explora Valle Sagrado offers guests over 30 explorations, either on foot or by bicycle. Our guides will take travelers to experience the area's unique geography and Andean culture. Our programs at explora Valle Sagrado have a minimum stay of 3 nights*. These programs include explorations, transportation, meals and bar and access to the relax area, this way our travelers can concentrate in enjoying their experience. It is located on an old corn plantation established in one of the most remote farms of the valley. It is sheltered and surrounded by mighty mountains that were once the home to the great Inca Empire. *Machu Picchu is not included. Dear Isabel, Thank you for sharing your opinion regarding your experience in our hotel. We are happy to learn that our services met your expectations. Both living up to travelers’ expectations and surprising them are the directions in which we point our efforts. We would be happy to greet you back in the near future or perhaps you could enjoy a new experience in explora Patagonia. On your next trip with us, get up to a 10% discount on your reservation based on our benefit for former explora travelers. Greetings, The explora Team. Dear traveler, We hope you had a safe return home. We deeply thank you for taking the time to write such a favorable comment. 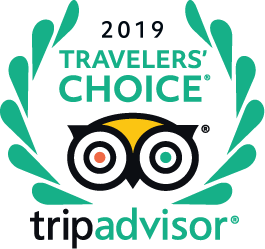 We made our best to help you enjoy your stay and we are happy to learn that we succeeded. We would be happy to have you back or for you to live the explora experience in Easter Island that you haven´t explored with us yet! Sincerely, The explora Team. Dear traveler, Thank you for sharing your opinion regarding your experience in our hotel. We are happy to learn that our services met your expectations. Both living up to travelers’ expectations and surprising them are the directions in which we point our efforts. We would be happy to greet you back in the near future. In your next trip with us, get up to a 10% discount in your reservation based on our benefit for former explora travelers. Greetings, The explora Team. Fantastic place to stay in the Sacred Valley Peru! "Excellent room, facility, setting and outing opportunities. " "Rooms on second floor have high ceilings and larger windows to enjoy the views of the valley." "Bring adapter plugs bc the outlets are Chilean. " "Great room - clean, good View, comfortable bed and nice bathroom "